When it comes to hiring a web designer for your business, there are some things you need to know. Here are some practical tips to follow in your decision making process so that you can be sure to hire the best of the best. A web designer can help you make your dream website a reality. Hiring a great web designer, though, isn’t always easy. Luckily, there are some things you can do to make it easier for you to hire a web designer. In fact, if you keep reading, you’ll learn 8 practical tips you can put into action, that will help you if you are thinking about hiring a web designer. Before you hire a web designer, it is important you gain some clarity on what it is you want. There are a couple of reasons you will want to do this. Firstly, when you know what you want, you will be able to hire the right web designer for the role. It is important you hire a specialist as they will know the best way to get you the results you are after. For example, do you want help with a WordPress website? If so, then you will want to find a web designer who is an expert in all things WordPress. But, if you need help with a Magento store, then you will need a different kind of web designer. Secondly, it also becomes easier for you to communicate with the designer what you want, if you have spent a lot of time thinking about it ahead of time. If you can provide the developer a clear brief, it will make it easier for them to do their job. It also increases the odds of you ending up with a project you are happy with. It is essential you budget fairly when hiring a web designer. You might want to hire the cheapest web designer possible. This can be a good idea in theory, as it can help you keep costs low. But if you do this you are likely going to end up with lackluster work. Even if you do find a good web designer who is cheap, odds are they are going to have a lot of work. This means it is going to take a lot of time for your project to be completed. So, make sure you are willing to pay the right amount. If you are not sure what the ‘right’ amount is, obtain quotes from multiple designers. This will help you work out an average. If you want to find out how good a web designer is, you can take a look at past examples of work. When you are reviewing these examples of work, make sure you consider things like the branding and how easy the website is to use. If the web designer does not have any past clients, ask them if you can see some examples of side projects they have built. Most newbie web designers will have a project they are proud of, that they would be happy to show you. If you have some doubts about working with a certain web designer, you can always ask them to provide you with some references. You can use these references to work out how past clients, felt about the designer in question. It is important that you set clear expectations when working with a web designer. You need to make sure that the web designer knows what is expected of them. This means that you need to set clear deadlines and communicate these deadlines with the web designer. If you want your website to capture leads or you want it to look a certain way, make sure the designer knows this. If you have any doubts, be sure to communicate these with the designer. By working together, you should be able to overcome any sticking points associated with the project. You need to make sure you are checking in on a regular basis. Most of the time a web designer will be more than happy to provide you with an update on how the project is going. By keeping tabs on how the project is going, you will be able to catch problems early. This will help protect you from a situation where you end up with a website you do not like at all. When working with a web designer, make sure you have all of your paperwork in order. You need to make sure you are the one who owns the site. If you are going to be disclosing sensitive information during the project, ask the designer to sign an NDA. If you need help with this, consider speaking to a lawyer. Once your website has been built, you might need some help promoting it. If you are not comfortable with doing this yourself you might hire a marketing agency to help you do this. For example, you might seek out some established SEO services, to help you rank in Google. If you need help finding such a service, you might want to ask your web designer. They will likely know some people that can help you. Especially if they have had clients with similar needs in the past. 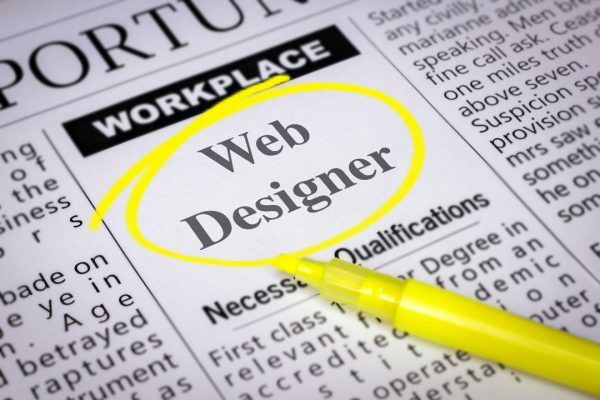 Do You Know Enough to Start Hiring a Web Designer? The process of hiring a web designer can be stressful. But there are some things you can do to make the everything a bit easier. In this post, we’ve taken a look at 8 tips that can help you do just that. You need to make sure you know what you need help with. You also need to make sure you have your paperwork in order. If you need extra services, after your site is finished, your web designer might be able to provide recommendations. You should, therefore, ask them for help, before you go out searching on your own. Want to read more about running a website? Check out our blog for the latest content!